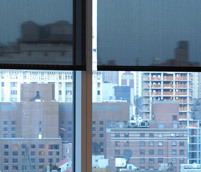 The movement of any shading system will inherently draw attention. To reduce potential distractions, Hyperion allows the amount of time between shade movements to be specified for each shading group. Hyperion automatic shade adjustments provide sufficient exterior views to maintain a connection with the outdoors. View preservation and daylight in the work place have been shown to have a positive effect on the performance of employees. 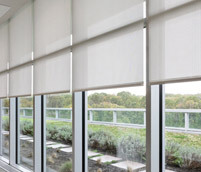 Hyperion generates shade schedules that permit an effective amount of daylight to enter the space, which helps regulate the biological clocks of building occupants. This contributes towards improved performance or productivity by allowing daylight to maintain alertness throughout the day.